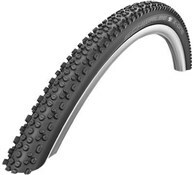 The Schwalbe Rapid Rob MTB off road tyre gives you the perfect introduction to mountain biking. It's sturdy to withstand abuse on the trails but light enough to not add too much extra weight to your bike. The tread pattern is designed to grip in the right places and also shed dirt without clogging up the tyre surface. 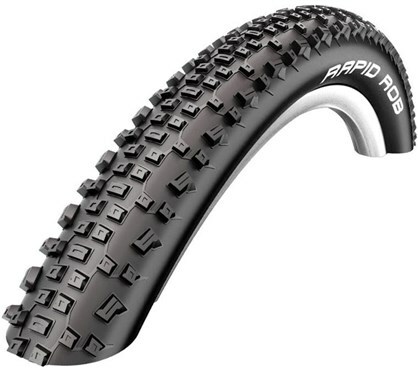 Available for both 26 or 29 inch wheels and in a choice of thicknesses, Rapid Robs have a 50 EPI carcass and LiteSkin sidewall making them durable and long lasting. 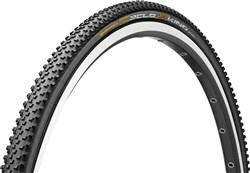 I bought these tires for my non suspension hybrid which has been used as a light weight cross country trail and autumn commuter bike. I have put about 500 miles on a set. The front has about half its life left and I have just replaced the rear which was bald. They have performed well in a mixture of terrain but favour dry and loose surfaces.when new the are just about ok in the mud. I ran the rear tubeless which has worked excellently one you get the bugger on, front I ran with a tube. 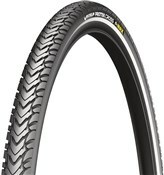 My only niggle with the tire is the speed it wears, however for cross country commuting the area great compromise. Delivered really fast and free. 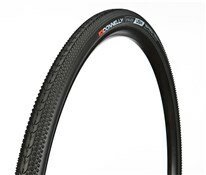 Tyres are excellent value for money and look really good on my Felt Q220 use on road and off road commuting to work and they roll and grip fine so good I will be ordering a pair of 26 x 2.25 for my Cube Acid. 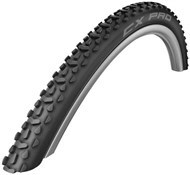 Not a bad tyre found it to be relatively grippy when you commit to a sharpish turn but have often found in muddy conditions trying to accelerate uphill often results in rear wheel spin. Lots of energy lost.I will be looking for something significantly more proficient for climbing in muddy conditions.